Interview with Ruud van de Moosdijk (Engine Software) | NIS America, Inc.
killer7 is a game that, despite its divisive and controversial reception upon release, is considered today to be a “cult hit” by the gaming community. Prior to you taking on the project of remastering this game, were you familiar with killer7? 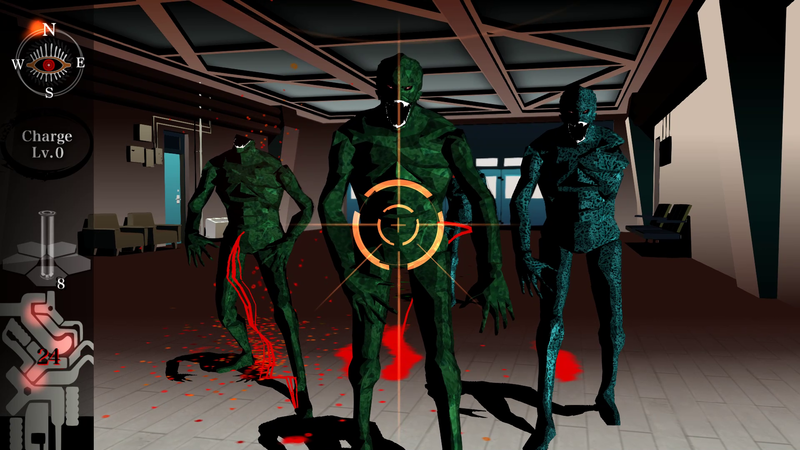 What were some of the aspects of killer7 that surprised you? I played the game originally when it first came out, so I was familiar with it. I remember playing it the first time, after the game had gotten some media attention, and I thought it was a very odd game at first. One of those experiences where you go, “I am not sure if I like this.” But then you really get into the flow and the story, and the unique characters, and you realize you are playing something that is special. When it comes to ports and remasters, some approach it as merely updating the game’s graphics to suit newer platforms, while others introduce new elements and sometimes practically create a new game from the shell of the original. What were some of the more difficult aspects you had to resolve while preserving as much of the original GameCube game as possible? Some aspects of the development were of course a bit tricky...the original GameCube game was made for 4:3 and had to be adapted for 16:9. Another thing was that the original GameCube game runs on 30 FPS and we were adamant we wanted it to run on 60 FPS. Finally, the addition of mouse controls for the PC version is brand new. 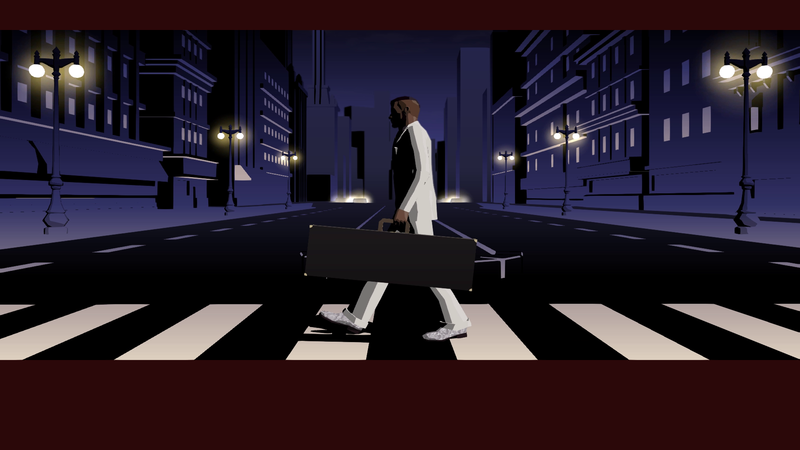 That being said, with killer7 we felt the experience and sensations for the player were what made the original game great, so that is what we focused on. Goichi Suda regards killer7 as “his proudest achievement.” Did you feel any pressure to capture the original success of killer7? How did you feel going into this project, and did your views change by the end? Of course we felt pressure to do justice to Suda-San’s original work, to not disappoint our client, and to not disappoint the fans of the game. The community-at-large was quite skeptical when the news was announced so that immediately became a focus for us, to disprove that skepticism. That pressure exists with every game we work on, but I will admit it feels a bit different working on such a unique game by a prolific designer such as Suda51, and a game I enjoyed thoroughly myself. Luckily, so far everything is going very well, and Grasshopper Manufacture and NIS America both seem happy with what we are doing. This year is seemingly the “Year of Remasters,” with legacy titles such as Disgaea 1, Disgaea 5, Ys VIII: Lacrimosa of DANA, and the upcoming The Caligula Effect: Overdose all being “brought back” into today’s gaming landscape. In your opinion, what made killer7 worthy of a “revival”? There are always several reasons to look at a certain title to bring back, in my opinion. Is the game special enough that it would still stand out in today’s market? Is the game experience something a newer generation should experience and appreciate? Are there mounting requests to bring this game back on modern machines? killer7 ticks off all these boxes, so it was an absolute no-brainer to try and bring it back. I am very happy it is happening. You founded Engine Software in 1995, and have seen video games and the game industry evolve all the way through to today. As a seasoned veteran of the industry, what has kept you excited and motivated to continue down this path in the game industry? For me personally, it really has been something different every couple of years or so. When we just started, I was just excited to be part of this industry, and walk around the events and meeting people whose games I played when I was a kid. Then when the new generation of console hardware would come out, I’d be excited about the new possibilities it would bring, like being able to play actual audio tracks for music! That was such a big thing! Or when Mad Dog McCree came out in the arcades and full motion video suddenly wasn’t science fiction anymore. As a developer, we are doing more ports and remasters now, and it offers a whole other level of satisfaction, as we get to work with people that made games that we hold in very high esteem or on properties we grew up with. Now as a gamer (yeah, we are gamers too! ), what really gets me going is the incredible world building and storytelling we can do in games these days. Metal Gear Solid V, Skyrim, The Witcher 3, Horizon Zero Dawn, Dishonored, Infamous, Last of Us...the sheer immersion and believability of their worlds amazes me every time. I hear people often say that single player games are dying, but they have never been of a higher quality. That being said, the overall quality of games, both triple-A and indie, has never been this high in my opinion, while the industry itself has never been more open and welcoming. I’m excited for the future. Many people will be experiencing this game for the first time with this release on Steam. Do you have any comments that you would like to share with new players? It is hard to explain why people should absolutely pick up this title, as it does not have the epicness or visual grandeur of modern popular titles. That being said, the depth of the game, the characters, the story...not many games these days, or ever, achieved the level of depth that killer7 does. It is a unique experience to play it and I think it will not disappoint anyone that tries it!